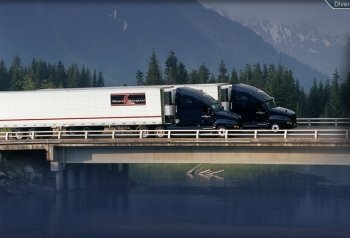 Many of you are probably searching for a school to obtain your CDL training, so I figured I'd touch on the subject as I've done a lot of research on it. It's a tough task and one that I think is very important. I actually just signed the papers today to start up with a private CDL training school. I start on January 12th and I'm super excited! So check back on my blog as I'll be taking you through training from day one. One of the first things I considered is attending a company sponsored training program. At first, I liked the idea of attending a company sponsored program. Since I'm a bit short on funds (aren't we all), I didn't want to front the 3-5 thousand dollars for a private school. At least with the company sponsored training , unless you really screw up, you're hired as soon as your CDL is obtained. After all, they put all of that time and money into you to get you trained! However, I began having some concerns. First, when you sign up with a company to train you, there is normally a contract you must sign. These contracts typically run anywhere from 1-2 years (seems like one year is the standard though). Most companies have a payment plan, where they deduct a certain amount out of your paycheck for a predetermined amount of time. So you basically don't pay anything up front and simply pay for the training over time by way of payroll deduction. Yeah, that's nice. I've also seen companies have plans that actually pay you back at a certain point, so training ends up being free. Sweet! On the flip side though,if you leave the company before your contract is up, you must pay them for your training, or the remainder of what you owe. This can be as little as $1,500 or as much as $5,000 from what I've seen. Just depends on the company. I'm not saying this is a bad way to go. In fact, I think it's pretty awesome that companies are willing to take that kind of risk on those of us who have never stepped foot in a truck before. On the other hand, I personally didn't want to be tied to a company for any period of time. It's smart to stick it out with your first company for at least a year, but I still want the freedom to leave if I so choose. I just feel better knowing the option is there. Second, some companies have trucks that are fully automatic. Most companies, however, still run manual transmissions. And whether you like it or not, from the research I've done, manual transmission trucks are going to be around for foreseeable future. So, for those companies that only train on automatic transmissions, this could put you at a disadvantage if you choose to leave that company in the future. You'll need to learn how to drive a manual, as you weren't taught this in training. Of all the private schools I've looked at in my area, they all train on manuals. I'm assuming it's much easier to switch from manual to automatic, than the other way around. Most company sponsored training does still train on a manual, but there are a few I've seen that train on automatics. Third, unless you live close by, you will be lodged in a motel or hotel with roommates for 3-4 weeks, depending on how long their training is. Many of you might not have a problem with this. In fact, it can be beneficial. If you're living with people studying the same things you are, then you don't have to go very far to ask questions or find a study partner. However, I'm the type that would like to study in the privacy of my own home and be able to get a good night's sleep without having to share a room with strangers and snoring roommates. And while there are a couple of companies that will provide you with some food money, you aren't on a payroll yet. So don't expect a paycheck until you've obtained your CDL. 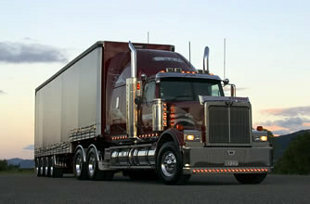 Once you obtain your CDL, you are able to choose from a wider range of companies. Many companies don't have their own CDL training, but do accept CDL holders with no experience. You simply go to orientation, then get placed with a trainer. I like knowing that I can choose from a wide array of companies rather than having to choose from the select "larger" companies that are out there offering CDL training. Many of the companies who train you to obtain your CDL don't pay quite as well, especially in your first year. This is a big one for me, as the differences can be fairly substantial. Also, I'm coming across a ton of companies that offer tuition reimbursement. As long as you stay with the company for a certain number of months (most are six months to a year), they will reimburse you. Most cover up to $5,000 - either in one lump sum, or a chunk every month for a predetermined amount of time. Better yet, there is no contract. If you don't stay, they don't pay. Otherwise, you owe them nothing. The problem is, you need to pay for the training yourself up front. If you're unemployed and qualify for unemployment benefits, no need to fret. Most unemployment agencies will pay for the CDL schooling in full. Nothing comes out of your pocket. If you have a job, but don't make much money, many government grants are still available that will at least pay for a chunk of the schooling, if not all of it. However, since unemployment is on the rise, many agencies are running out of grant money. So just be aware of that. There are a few things to look out for though. First, be sure you go to a state accredited school. Believe it or not, there are many schools who are not state accredited, and most companies will not even consider you unless your training came from a state accredited school. A good place to start looking is your local community colleges. Some community colleges even team up with private schools. In the end, it's a good idea to make sure they are accredited by the state. Second, ask them how many students there are per instructor. To me, it's important to get as much driving time as possible, not just observation time where you're watching somebody else (another student, instructor, etc.) drive the truck. And how about classroom? Will you get one-on-one attention? How many years experience do the instructors have? Were they drivers for a while before becoming trainers? 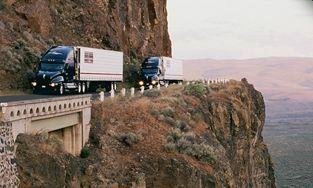 Another consideration is what if you fail your CDL test or feel you need more time? Do they charge you more? If it's a good school, they shouldn't. Do they kick you out of their program if you fail? A good school should take that opportunity to help you out in your weak areas so you can pass it next time. While it may feel odd to ask questions like that, I think they are important to ask. What about job placement? Do they offer assistance? Most of the schools I've researched will not only boast job placement rates close to 100%, but they will bring recruiters into the classroom to pitch their company to you and hand out applications. If the school claims to have job placement, ask them for a list of the companies they frequently see people going to, then actually call those companies and see if they are familiar with the school. If they aren't, I'd be suspicious. Most companies will "pre-hire" you while obtaining your training. As long as you pass the tests and obtain your CDL, you're hired. Don't be afraid to go in and take a tour of their facilities. How are the classrooms? Are they conducive to learning? What are their trucks like? Are they old and beat up, or are they newer model trucks in good condition? A good school should have no problem showing you around. They have nothing to hide.....do they? Talk to some of the students. At one of the schools I checked out, all of their students were on lunch break. Many of them were outside smoking a cigarette. That was the perfect opportunity to jump in and ask some questions. The response I got was fantastic, and very positive. So a little tip - go during lunch hours if you can, and try to grab some of the students while they're on break to get their personal opinions of the school. There are a lot of websites out there that warn about non-accredited "fly by night" CDL schools. I don't think the problem is nearly as bad as it's made out to be (at least not where I live), but asking a few simple questions like I mentioned above doesn't hurt. Better to be safe and choose whatever school makes you feel comfortable, than to simply join the closest one to home or the cheapest one around and regret it later. I did go to one school, which was state accredited, that I was definitely not impressed with. They were very rude to me, their facilities were nasty, mold on the walls, ceilings falling apart, about 40 degrees inside the building, and their trucks had more rust than a 1987 Ford Bronco sitting at the bottom of the ocean. State accredited, but not impressed! That link provides a great list of companies that offer free, or nearly free company sponsored CDL training. Thanks to Brett for doing some of the homework for us! But remember, the brunt of the homework is on you. 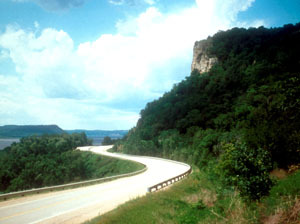 First, you have to decide whether you want to go the private route or the sponsored route. Once you decide on that, you have a whole new list of "homework assignments" ahead of you. There are many schools to choose from, and it's important to pick the one that's best for you. As I stated earlier, I start my CDL training on January 12th. I will be posting quite a bit during my training to give you all a good, real world, non-bias view of what training is like. I'll let you know about all of my accomplishments, and all my hardships (although I hope I don't have any!). I'll take you through everything - right from my first day of class, to getting my DOT physical, through obtaining my CDL permit, taking the written exam, my first time in a big rig, getting my CDL license, and beyond! So come back often for a visit. Once I start training, my blog will turn into more of a journal about my life and what I'm going through, and it should get very interesting. Good luck finding that perfect school! If you have any questions, please feel free to email me at the address listed at the top of the page, or even better, simply post a comment below. I'll answer any questions you have to the best of my knowledge!